One person died early Saturday morning in a single-vehicle collision on State Route 84 in Menlo Park, according to police. 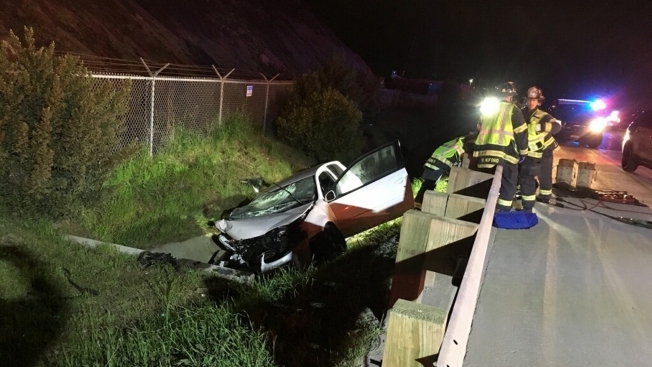 Police said officers responded to the eastbound lanes of Bayfront Expressway just east of Chilco Street at 3:14 a.m. on reports of a vehicle that drove off of the roadway into a drainage ditch. According to police, the vehicle collided with a cement drainage outlet. Upon arrival police found the driver suffering from major injuries and responding paramedics administered lifesaving techniques to no avail. The driver was pronounced dead at the scene. The identity of the victim is being withheld until next of kin is notified, and the cause of the accident is still under investigation. Eastbound lanes on Bayfront Expressway were temporarily closed for about four and a half hours as a result of the accident. Meanwhile, the Menlo Park Fire Protection District expressed its condolences in a statement. "We don't know exactly why this occurred, but this isn't the first time we have responded to a significant vehicle accident involving this unprotected drainage ditch. We'll be talking to Caltrans about that," Fire Chief Harold Schapelhouman wrote. Anyone who may have witnessed the incident is encouraged to contact Traffic Officer Brent Hughes at (650) 330-6300.